19th April 2018, Mumbai: On Thursday evening, FC India (MFC) played Skorost United FC in the MDFA (Mumbai District Football Association) First Division’s 3rd place match at the St. Xavier’s Ground, Parel. A solitary goal proved enough as FC India (MFC) registered a narrow 1-0 win over Skorost United FC to clinch the 3rd place. Both the sides have already booked their place in the next season of MDFA Super Division which is quite an achievement. 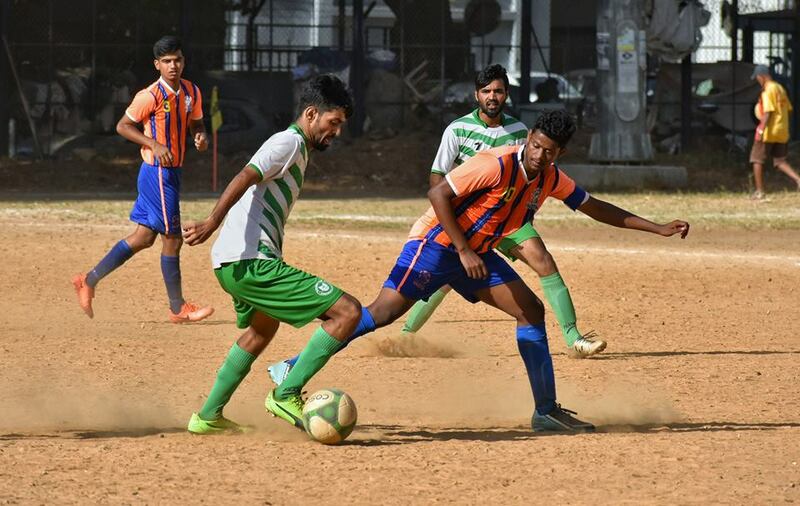 Yesterday, FC India and Skorost just proved why they are worthy of playing in Super Division after being part of a mouth-watering encounter at Parel. In the 2nd minute itself, FC India opened the scoring with a well-timed finish from William Chettiar. It was not a start Skorost United FC had wished for. But as soon as the game grew, Skorost took control of the match proceedings. They overrun FC India in the midfield and created several opportunities to tie the game but their counterpart defended brilliantly to leak any goals. It was an end-to-end game and the intensity of the match kept increasing. FC India, on the other hand, also missed numerous chances but it was their day in the office as they shielded their one-goal lead quite brilliantly. In the end, it was FC India who ran out as winners.